Both Israel's capital and largest city, Jerusalem lies alongside the Dead Sea and the Mediterranean Sea, and is a very spiritual centre for all things Jewish, whilst also containing a number of highly important Christian and biblical sights, such as the Dome of the Rock. 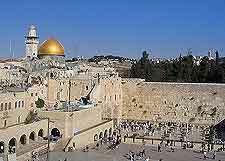 The holy city of Jerusalem is especially sacred and roughly carved up into three main areas, the Old City, Arab East, and West. Surrounded by an ancient wall, the aptly named Old City is of most interest to tourists looking for history and is now a World Heritage Site, with rich tourism offerings and endless information about its religious heritage being spread around its Armenian, Christian, Jewish and Muslim quarters. 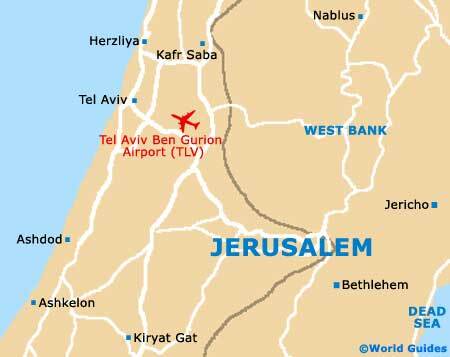 Also of note is the region known as Arab East Jerusalem, as well as West Jerusalem, which is a very modern part of the city and has seen much economic development over the past 50 years. The main attractions of Jerusalem are both old and new, and visitors to this truly unique city will be able to take an actual simulator ride through history at the enjoyable Time Elevator, or spend an afternoon exploring the animals found within the popular Jerusalem Biblical Zoo, which comes complete with a building resembling Noah's Ark itself. Those with an interest in Christianity will be sure to want to visit the Garden Tomb, which is reputedly the actual spot where Christ died and then rose again. Both the Ammunition Hill Memorial and the Church of St. Anne are also much visited. 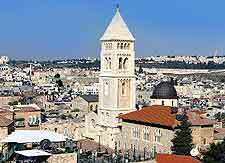 More information about Jerusalem Tourist Attractions. It is the religious landmarks of Jerusalem that serve as the primary reason why so many tourists frequent the city, and the ancient sites of the Temple Mount (Noble Sanctuary), the Al-Aqsa Mosque, the Dome of the Rock, the Church of the Holy Sepulchre and the Tomb of the Virgin Mary all fall into this category. Also in Jerusalem is the revered Chapel of the Ascension, where Christ is believed to have ascended into heaven around 2,000 years ago. For those with an interest in Jewish architecture, the Belz Synagogue is the city's biggest and capable of accommodating some 6,000 worshippers. 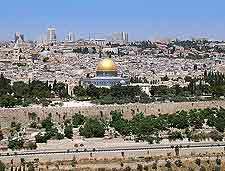 More information about Jerusalem Landmarks and Monuments. Some of Israel's most acclaimed museums are to be found within the city of Jerusalem and cover topics such as natural history, archaeology, science, religion and event the holocaust. The Israel Museum Jerusalem stands out from the crowd and is a must for anyone looking for a little information about the cultural past of the city, while for art in the city, galleries such as the Mardigian Museum of Armenian Art and Culture and the U. Nahon Museum of Italian Jewish Art are on hand. 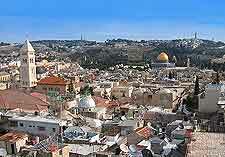 More information about Jerusalem Museums and Jerusalem Art Galleries. A host of incredibly famous religious sites surround Jerusalem and lend themselves to suitable day trips for tourists wishing to explore more of Israel. With Bethlehem being so close and home to sights such as the Church of the Nativity, Manger Square and the Shepherds' Fields, this really is one excursion not to miss. 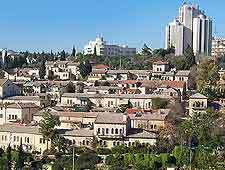 The Arab town of Abu Gosh is also just a matter of minutes from Jerusalem, along with the city of Ramallah. Also within reach are the tourist attractions of Ein Gedi National Park, the Tell es Sultan mound at Jericho, and the beaches and coastal allure of Tel Aviv, which is a particularly important and well-known Israeli city. More information about Jerusalem Attractions Nearby.